“In Dante’s Footsteps: My Journey to Hell”: a compelling modern for fans of the classic. “In Dante’s Footsteps: My Journey to Hell” is the creation of Charles Patterson, an award-winning author, historian, and teacher based out of New York City. Patterson writes, “This modern divine comedy, based on the original Divine Comedy that Dante wrote 700 years ago, tells the story of Tom Reed and how his early interest in Dante inspired him to make his own viaggio (journey) to the Underworld. After describing Tom’s church upbringing and his joining, then leaving the church, the story continues in the Underworld (a.k.a. Hell) with a cast of characters Dante never could have imagined: Tanya, the CEO; Umberto, the Guest Master; Rachel, a young Dante scholar from Berkeley; visitors from China, India, Kenya, and Germany; and famous people in history woken up from the Big Nap for a ‘Great Minds and Personalities’ conference attended by such greats as Socrates, Alexander the Great, Joan of Arc, Einstein, Isaac Bashevis Singer, and Groucho Marx. Tom also visits his father who’s in a ‘Purgatory precinct’ and talks to Hashem, his ‘wife’ Naomi, and somebody called Satan who wears a cowboy hat and walks with a swagger. Published by Christian Faith Publishing, Charles Patterson’s new book is a delightfully smart and immensely readable work inspired by the spirit of the original Comedy. Readers unfamiliar with Dante will be hard-pressed not to find themselves engaging with Reed as he survives the ordeal with the help of an ex-nun, a ghostly PETA, and the iconic Italian poet himself to return to New Jersey and his own great love story. View a synopsis of “In Dante’s Footsteps: My Journey to Hell” on YouTube. Consumers can purchase “In Dante’s Footsteps: My Journey to Hell” at traditional brick & mortar bookstores, or online at Amazon.com, Apple iTunes store, or Barnes and Noble. 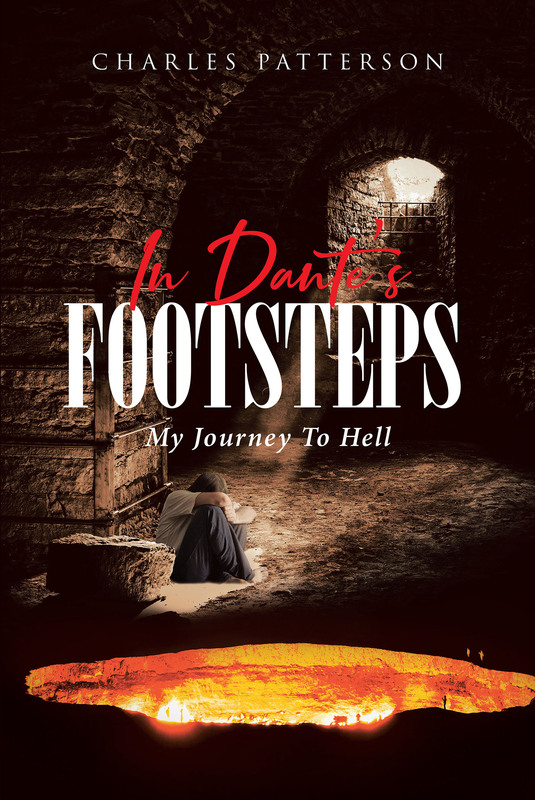 For additional information or inquiries about “In Dante’s Footsteps: My Journey to Hell,” contact the Christian Faith Publishing media department at 866-554-0919.